Discover a place where children are alive with the wonder of learning. Explore a magical setting where children are empowered and potentials realized. Nature’s Way Montessori is dedicated to the very best practice of the Montessori philosophy of education. The Montessori Philosophy is a brain-based, developmental approach to child development. While academics do play a part of learning, Dr. Montessori emphasized that her approach is the developmental support of the whole child, to include the social, emotional, physical, spiritual and academic needs. The classrooms are often called “prepared environments”. In order for self directed learning to take place, the whole learning environment - classroom, materials and social setting/atmosphere - must be supportive of the child. The Guides provide the necessary resources and together, the Guides and child form a relationship based on trust and respect that fosters self-confidence and a willingness to try new things. 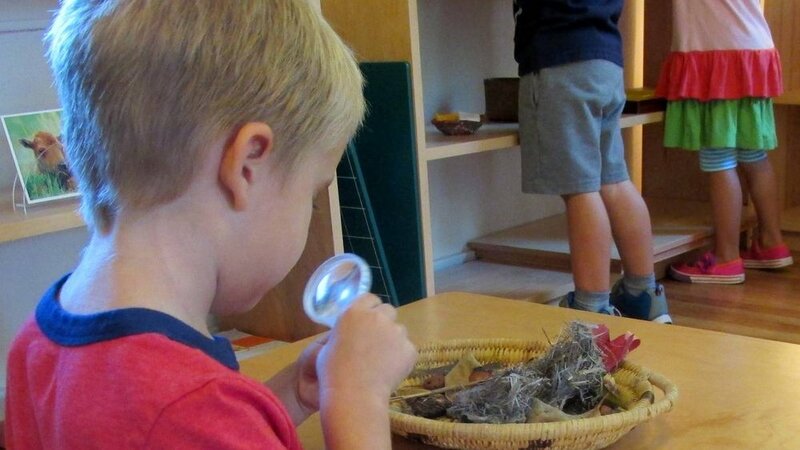 Nature's Way Montessori follows the principles of the Association Montessori International. AMI was formed in 1929 by Dr. Maria Montessori to insure that her philosophy and approach to education would be carried on as she intended. Dr. Montessori’s goal was to foster the full development of the human being. Our school continues the tradition of quality first established by Dr. Montessori, a tradition that incorporates standards based directly on Dr. Montessori’s work. 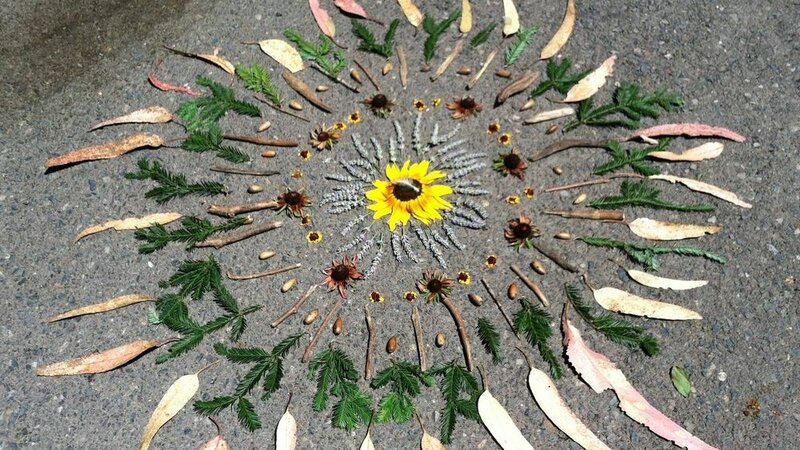 Nature’s Way Montessori envisions children and families deeply connected to the earth, acting as stewards. This will happen by continuing Dr. Montessori’s work, bringing nature into the classrooms and having an outdoor classroom at every level. This will lead to inter-connectedness and peaceful co-existence with all living things. Montessori education is a multi-age, child-oriented method of education designed to assist children in their natural process of growth and development. Based on a profound respect for children, Montessori provides a structured environment for individual learning. The flexibility of self-directed work with the scientifically developed Montessori materials leads to inner discipline and provides limitless opportunities for accomplishment. Individual and collaborative work leads to independence and social development. Children at NWM take an active role in caring for our outdoor classroom – the Children’s Garden. All of the children help prepare the beds, plant, weed, water, and harvest the garden’s bounty. The children cut and arrange flowers from the garden, and prepare and eat the vegetables that are grown. The beds of our Children’s Garden provide inspiration for countless botany lessons and hands-on experiences with the natural world. 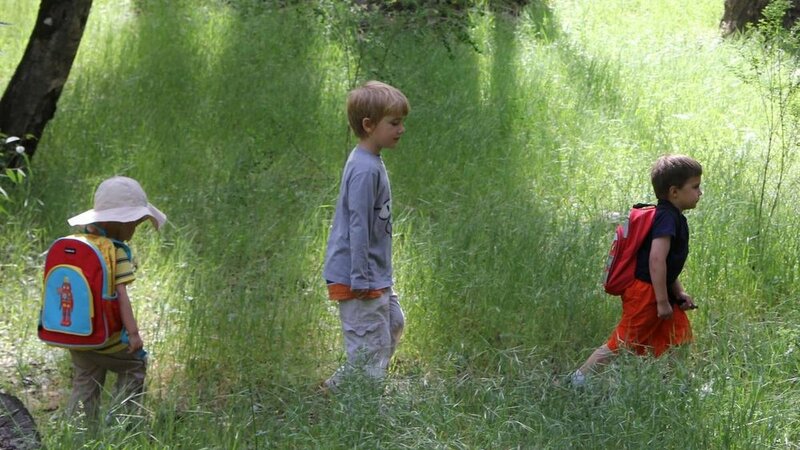 The children also hike Westwood Hills and visit Connolly Ranch regularly. Great care is taken to ensure that the spaces are beautiful, simple, and inviting to the children. The children learn to work with and respect each other’s work-space, and to treat each other with courtesy.